Markarian's Chain is a stretch of galaxies that forms part of the Virgo Cluster. It is called a chain because, when viewed from Earth, the galaxies lie along a smoothly curved line. It was named after the Armenian astrophysicist, B. E. Markarian, who discovered their common motion in the early 1960s. 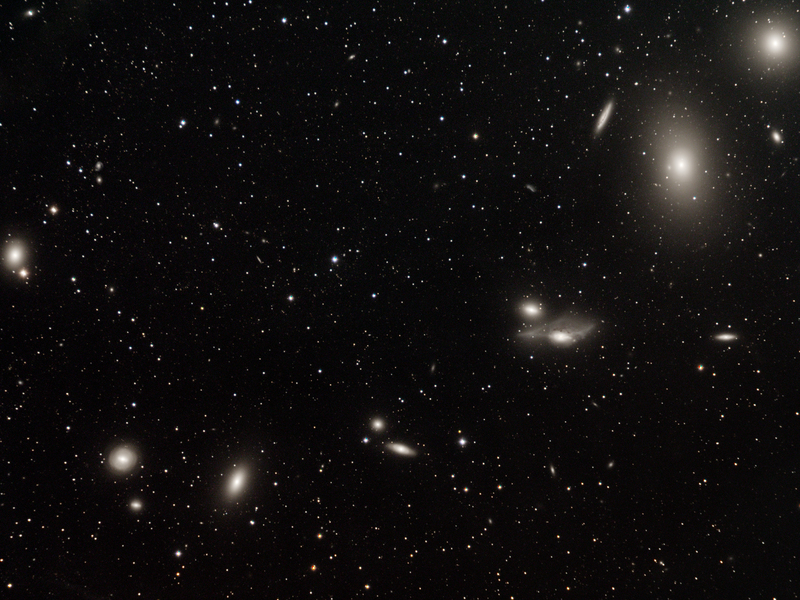 Member galaxies include M84 (NGC 4374), M86 (NGC 4406), NGC 4477, NGC 4473, NGC 4461, NGC 4458, NGC 4438 and NGC 4435.